Customers only buy, what they can find! 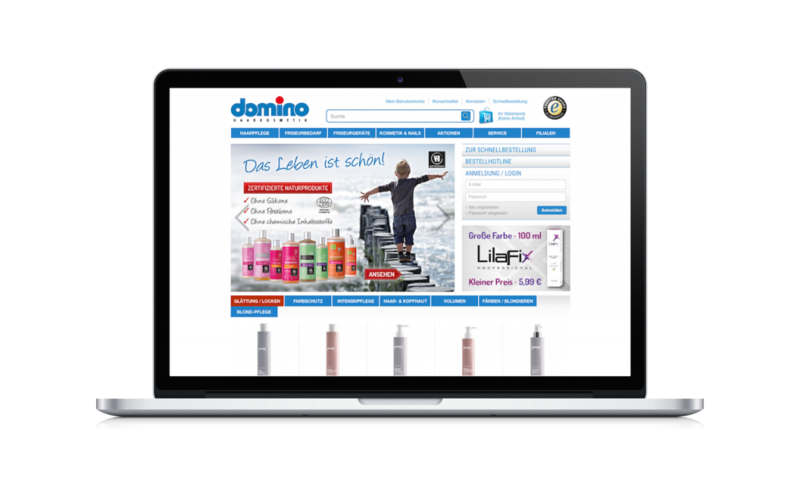 Domino Hair Cosmetics offers a wide range of products and many useful tips for hair and beauty care. Search fulfills a special role in e-commerce, as it is often the first touch point for prospective buyers. With a modern and fault-tolerant search, conversion rate can be increased, since customers who find – quickly and easily – what they are looking for, are also more likely to become buyers. By analyzing the visitors’ search behavior, the shop can be continuously optimized. 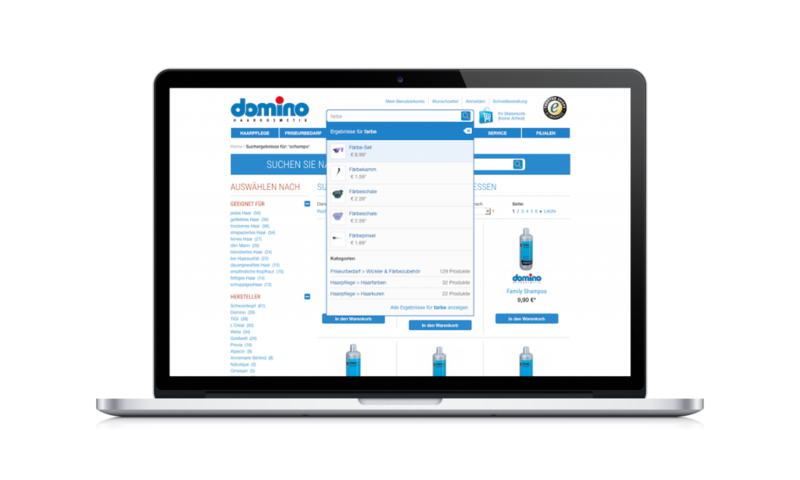 We help Domino deliver relevant results faster to their customers. Product filters – dynamic filters allow customers to refine and further explore the delivered results, e.g. by hair quality, price, manufacturer, man / woman / young generation, etc. Fault tolerance – the search forgives typos such as swapped letters, misspelling, etc. 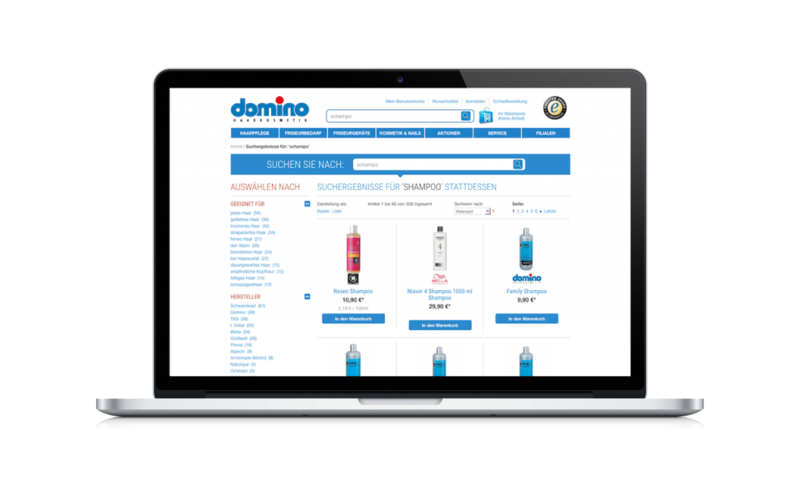 "Thanks to the sophisticated search functionality in our online shop, our customers are able to quickly find and discover even products they don't know yet; and due to the extensive monitoring we can analyze their purchasing behavior in detail. Lots of benefits in a small box!"